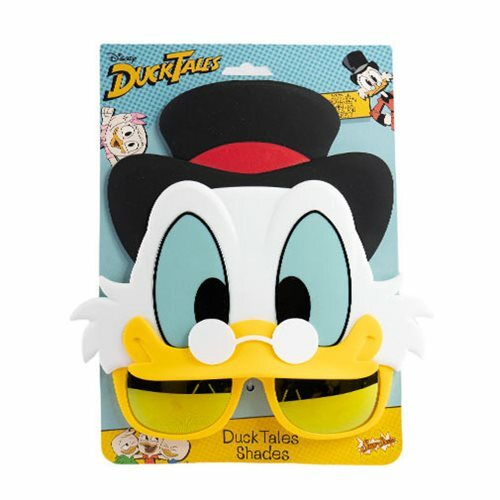 Assume the guise of Uncle Scrooge from the DuckTales animated TV series by wearing these hilarious DuckTales Scrooge McDuck Sun-Staches based on the popular character. One size fits most, and the shatter-resistant lenses feature 100% UV400 protection. Ages 14 and up.